Each year we provide summer camps for hundreds of needy children in remote villages, where they enjoy nutritious food, receive medical care, have fun and learn about the love of Jesus. 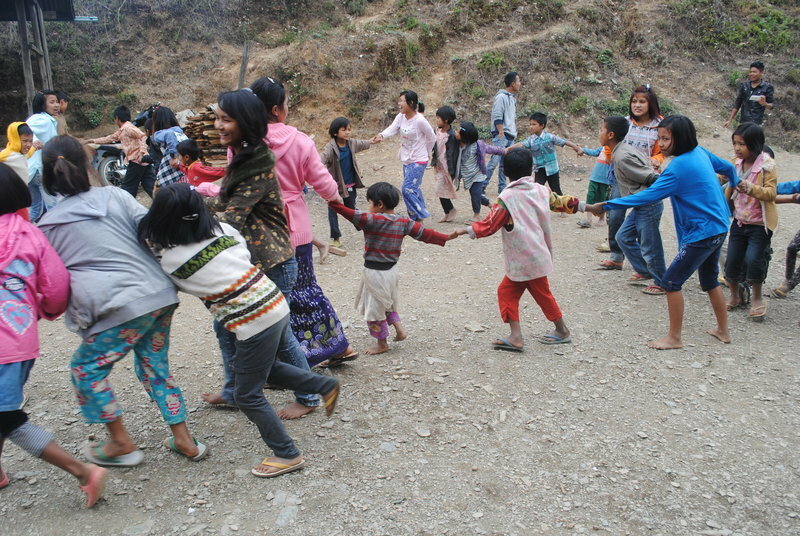 Our staff in Northern Burma ran two camps in remote villages in the Chin Hills, one in Darkhai village and one in Sezang village, where children and young people from surrounding villages came and took part in fun activities, games and sports. The children had a great time and loved learning joyful songs as many don’t get to listen to such happy music. The summer camps are not only fun but also bring essential care to children in poor communities. All the children that attend receive three meals a day and tea and cake in their breaks. The provision of daily food helps the children receive nutrition and improves their health. The camps also teach the children personal and environmental hygiene so that they can remain healthy in the weeks and months after the camp has ended. The children leave with great memories and useful knowledge but more importantly than that, they have a sense of belonging and know that they are loved. A Stand by Me camp may be the first time the children have heard about Jesus and feel that they are loved and accepted for who they are, leaving a lasting impact in their lives. University in Ethiopia is free if children are successful at High School. Our challenge is to help as many children as possible complete a High School education after they have finished at our Bethany School. Meet Abdi, he's five years old and lives with his parents in Dembi Dollo. Both him and his mother are living with HIV and take medicine to control the virus. Abdi’s father’s job as a shoe shiner pays so little that they can’t afford adequate food or to pay the rent for their small mud house.